You might have noticed the great shots of kids that we were able to capture at Angela’s wedding. Kids seem to love weddings and giving them a role to play and including them in the planning is a great way to add fun, energy and some great unexpected magical moments. Honestly though, for me, kids provide a great addition to the photos of your wedding day with there expressions of wonderment and joy, so don’t be afraid to get them involved and let them do what they do best. 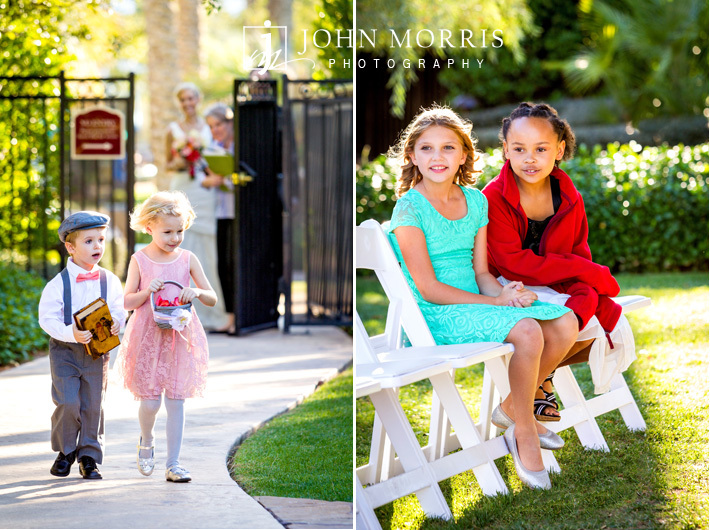 October is a busy time for weddings and wedding photographers here in Las Vegas. The weather is perfect, the venues, such as the JW Marriott in Summerlin, are at their best and love is in the air. We had the honor of photographing Angela & Jason’s October wedding and will be ready to present the wedding photography to her in the next couple of days, but I just couldn’t help wanting to release a few early. Time of day is such an important part of wedding planning. If the ceremony is set too early in the day, the sun is bright, shadows dark and the photography becomes extremely difficult and challenging. Not that we cant handle challenging photography, but the light is so much more beautiful shortly before sunset. The golden rule of photography is the “light” and we as photographers really aim to maximize the lighting we have to work with. Of course, if you schedule the ceremony too late, the sun sets fast and we lose the beautiful backlighting that you see in so many wonderful photos. Angela worked with us to insure that we pretty much had perfect light for her wedding ceremony and romantic photos afterward. The JW Marriott is also a wonderful setting for evening wedding photography as the beautiful structures help to filter and shade while allowing just the right amount of sunlight to peak through and really highlight the landscaping. As a wedding photographer in Las Vegas, trees are a luxury, but the JW Marriott is full of beautiful trees and foliage giving us many options without losing that desert feel that many of us love about Las Vegas. 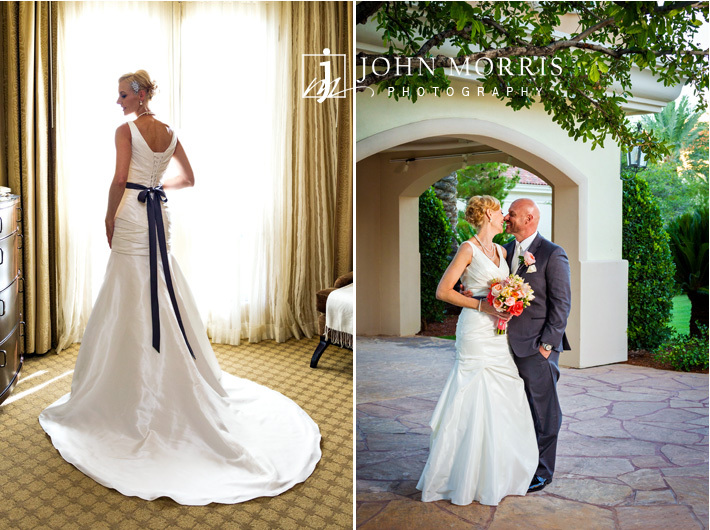 Congratulations Angela & Jason and thank you for making John Morris Photography apart of your wonderful day.